Airline credit cards allow you to earn rewards for travel. If you are a frequent airline traveler, these credit cards can be a good way to save money on your flights. Good airline credit cards offer unrestricted travel without blackout dates or seating restrictions. As with all credit cards, you want to look for a low interest rate and a lack of fees. 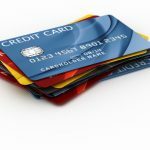 This airline credit card post is part of our ongoing Saturday series through which we help you find the best credit cards for you. If you’re not looking for the top airline credit cards, then you might want to look at our other posts, which include the best Chase credit cards, Citibank credit cards and Discover credit cards. TOP PICK. Chase Sapphire Preferred. This airline credit card makes it easy for you to earn points towards flights. In addition to traditional points, you can earn 50, 000 bonus points after you spend $3, 000 in the first 3 months – that’s worth $625 toward airfare or hotel accommodations. You also earn points on your points, getting a 7% dividend annually on the points that you earned throughout the year. TOP PICK. Chase Sapphire. People who don’t qualify for the Chase Sapphire Preferred card may want to get the regular Chase Sapphire card, which has traditional airline travel points along with 25, 000 bonus points after you spend $3, 000 in the first 3 months – that’s $250 toward a round trip flight or any other reward. There are no limits or expiration dates on your airline rewards. American Express Gold Card. Earn double points on this rewards card when you book flights through the site’s online travel tool. Spend $1, 000 in the first three months and get 10, 000 bonus points. Starwood Preferred Guest Credit Card from American Express. 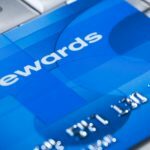 The travel rewards that you earn on this credit card can be applied to free hotel stays at Starwood hotels–or you can use the points to get free flights. Earn 10, 000 bonus points after your first purchase and another 35,000 bonus points if you spend $3,000 in the first 3 months and an additional $2,000 in the first six months. Starwood Preferred Guest Business Credit Card from American Express OPEN. This is the business travel version of the Starwood Preferred Guest Credit Card from American Express. Additional perks on this card include accelerated earnings and the ability to take guests with you into airport lounges. PenFed Premium Travel Rewards American Express Card. The points on this airline card add up quickly since you earn 5x points on airfare purchases on this credit card, plus you get 20, 000 bonus points if you spend $650 in the first three months; that’s enough for a free flight. Blue Sky from American Express(SM). This airline credit card offers unrestricted travel that can be redeemed with points as low as 7, 500. It offers a flexible payment plan and 0% intro APR on purchases for 12 months. Simmons First Visa Platinum Travel Rewards. This airline credit card offers unrestricted air travel with a one-point-per-dollar reward system. It also comes with travel insurance. 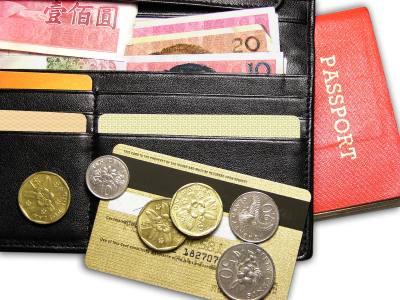 Nowadays, a lot of credit cards exchange points for $ for air ticket purchases. For example, capital one no hussle card’s 25,000 points can be used for $250 on air fare. I don’t really like this. AAdvantage’s credit card allows $25,000 points for a round trip… I think that would be a better deal. You can’t really get many round trip tickets for $250. Also, another cool card I use – Citi Premier. It gives 1 points for 1 mile you fly on the tickets you purchase. If you choose to purchase via their agents, you can get a free companion every time. If you do fly a lot, these will be a pretty good option. Dan: Sorry you feel that way. If you hadn’t noticed, these Saturday posts are being run in addition to all of our weekday regular content, not in place of it. The Amex SPG is my preferred choice. The ability to transfer SPG points to an airline frequent flyer mile program at 25% bonus is the selling factor for me. Its like spending $1 gets you 1.25 points on an airline frequent flyer mile program. You don’t see many credit cards offering $1 for 1.25 points.